Order the book from Amazon.ca. Following is a short version of some of the points made in the book. On October 24, 1993 a Saskatchewan farmer, Robert Latimer, ended his 12-year old daughter’s severely compromised life, in what became Canada’s most famous case of mercy killing. What does this case tell us about our justice system? The Latimer caser is often referred to as a “hard case” — one that does not fit comfortably into the existing legal structure. Some have called it the hardest of hard cases. Should it then provide a reason to re-examine our justice system? Some say not; lawyers are fond of saying that “hard cases make bad laws.” They are suggesting that we should not design laws to cover very unusual circumstances. But I take a different view. If laws lead to a serious injustice then we ought to reassess those laws — unusual cases sometime expose, with startling clarity, weaknesses in our laws. And they are our laws, not the laws of politicians or the judiciary. If an injustice is committed through application of our laws, it is our injustice. We are responsible for it, and we are responsible for fixing it. In the Latimer case I will argue not that hard cases make bad laws, but that bad laws make hard cases. …I will feel unsafe going down the street in my wheelchair knowing that this man is free to walk the streets of my hometown. Is this reasonable? Is Latimer dangerous, as some claim a threat in particular to the disabled? Is he simply a murderer? Was his treatment, in fact, just? In arguing against this view, two points need to be established — first that Tracy’s condition was indeed grim and, second, that Latimer’s act was one of mercy and that his motivation was not malicious, as the word “murder” implies, but compassionate. There is a crucially important distinction to be made here, a distinction between malice and compassion. It is not a question of the law being served — clearly it was; the Criminal Code of Canada makes no allowance for compassionate motivation. It is instead a question of justice being served. Tracy was born Nov 23, 1980 — the first of four Latimer children. Laura Latimer had an uneventful pregnancy, but not so for the birth. A broken fetal heart monitor failed to show that the baby’s heart had stopped beating, and when this was discovered the baby was immediately extracted with forceps. She was essentially dead at birth but was brought back to life by the medical staff. It was clear immediately that she had suffered some brain damage. Seizures started as soon as she regained consciousness, likely causing more brain damage. Throughout Tracy’s life the Latimers and their doctors struggled to find medication to reduce seizures. They managed to reduce them to four or five a day for most of Tracy’s life, but as with all treatment there were trade-offs. At times the drugs would reach toxic levels in Tracy’s system, causing her to throw up her food, and to become dehydrated. And the anti-convulsant medication conflicted with pain relievers, so that for all the pain Tracy was subsequently to endure the strongest analgesic she could ever take was Tylenol 2. Such severe cases of cerebral palsy sometimes result in cognitive problems as well. In Tracy’s case, she was locked into the mental capacity of a four- or five-month-old baby. Half of such children die by the age of 10. Although Robert and Laura Latimer loved their daughter, and did everything they could for her, Laura cried every night for a year after Tracy was born. The Latimers struggled to make the best of Tracy’s life, but Tracy’s compromised body became more and more problematic as the years went on. Her involuntary movements started to create strain in her muscles, and when she was four years old she had her first operation, cutting some muscles to relieve tension. But the movements continued to take a toll, and began to give Tracy serious levels of pain. She had another similar operation at the age of 10. Tracy developed scoliosis — abnormal curvature of the spine — and by age 11 her spine had gone to 73 degrees out of alignment, and the compression of organs was becoming so serious it could cause death. Another surgery was carried out, this time major surgery lasting 7 to 8 hours, inserting long steel rods into her back to try to straighten her out. They got her spine got back to 15 degrees out of alignment. And then there was the increasingly serious hip pain. Tracy’s right hip had become dislocated causing Tracy to cry out in agony whenever moved. Dr Dzus had delayed, for a year, any attempt to deal with the hip until Tracy until she had fully recovered from the back operation. Oct 12, 1993, one month before Tracy’s 13th birthday, Laura took Tracy to Dr Dzus to treat the right hip. Laura expected that an operation would be scheduled to reconstruct the hip, but she was stunned to hear that it was too damaged for reconstructive surgery. All that could be done at this point was what Dr Dzus called a “salvage job” — resection arthoplasty — which involved cutting off the end of Tracy’s femur and leaving a “flail joint”, with no bone connection. This would result in additional pain for up to a year, at which time it would probably subside, but then the other hip would probably have to be done. But, Dr Dzus said, it was “too painful to do nothing”, and she adjusted her schedule to get Tracy in as soon as possible — in 2 weeks. Laura came home and prepared dinner for the other three children and for Bob, who had been out in the fields during the day bringing in the fall crops. But she could not stop crying. She waited until she and Robert had gone to bed to give him the distressing news. He too was shocked; they both felt that the planned operation would be mutilation and torture of their daughter. Maybe, Laura told her husband, it was time to call Dr Kevorkian. Laura said no more about that, but her comment put the idea in Robert Latimer’s mind. This was something he, not Kevorkian nor anyone else, had to do. In 13 days, one day before the scheduled operation, he ended Tracy’s troubled life. There was much other evidence as well, including the testimony of those who knew Latimer, and of the psychiatrist who examined him for 9 hours. He had his first trial declared a mistrial by the Supreme Court of Canada because of the actions of a prosecutor, Randy Kirkham, who was himself subsequently prosecuted for tampering with the jury pool. That same prosecutor insisted on charging Latimer with murder, which was technically correct according to the Criminal Code, instead of manslaughter, which more sympathetic prosecutors have used at times in similar situations, to allow for flexibility in sentencing. 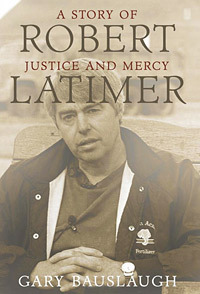 Latimer’s jury in his second trial was misled by Justice Noble, who in response to their request for information about whether or not they could influence the length of sentence, informed them that they could, while not telling them that, by the way, there is a ten-year minimum sentence for murder. Had they known this the jury might well have found Latimer not guilty. Latimer was deprived, by an earlier SCC ruling following the Morgentaler trials, of the basic civil liberty of entitlement to the best possible defence. Like Morgentaler, Latimer’s only real defence was an appeal for jury nullification — that is for the jury to refuse to follow the letter of the law (to nullify the law) because, in this case, it would be unjust to do so. This is an absolute and mostly undisputed right of juries in English-based law; it is based on the principle of jury independence. The SCC, in spite of great triumph for justice in the Morgentaler case, chose to make a subsequent decree that while juries could practice nullification, defence lawyers cannot tell them about it. Latimer’s jury thought they were obliged to follow the law, although had they known the truth about the minimum sentence they might well have refused to follow the law anyway. Latimer’s jury, after rendering a guilty verdict and then learning of the ten-year minimum, strongly urged Justice Noble to disregard the minimum and give just a one-year token sentence. After some reflection Justice Noble agreed; both Judge and jury, who had seen all of the evidence, agreed that a one-year token sentence would be appropriate in this case. Justice Noble argued that he could do this as a “Constitutional exemption” from the law, on the grounds that in this case a ten-year minimum would be cruel and unusual punishment. This was then overturned, on legal grounds, by the appeal court — by people who had not attended the trial. Latimer was initially subjected to the indignity of being sent to a high security prison, on orders from Lawrence MacAulay, the then Solicitor General of Canada. This resulted in some time in isolation to protect Latimer from the possibility of “prison justice” being imposed on him by the violent inmates of these institutions. In an outrageous decision by the Parole Board of Canada, on December 7, 2007, Latimer was denied day parole after 7 years in prison, on the grounds that he was uncomfortable with personal questions, unrepentant, in need of rehabilitation, and a threat to the public. These reasons were demolished in an excellent brief prepared by Vancouver lawyer Jason Gratl, and the decision of the Parole Board was overturned on appeal. When finally being granted day parole Latimer was unduly harassed by the Parole Board. This has been a disturbing story for most Canadians — Tracy was not the only casualty here, justice was too. This is not a story Canadians can be proud of. —John Robert Colombo, author & anthologist. Also see Robert Latimer’s own web site, robertlatimer.net, for more information about his case, including some other articles written about him.